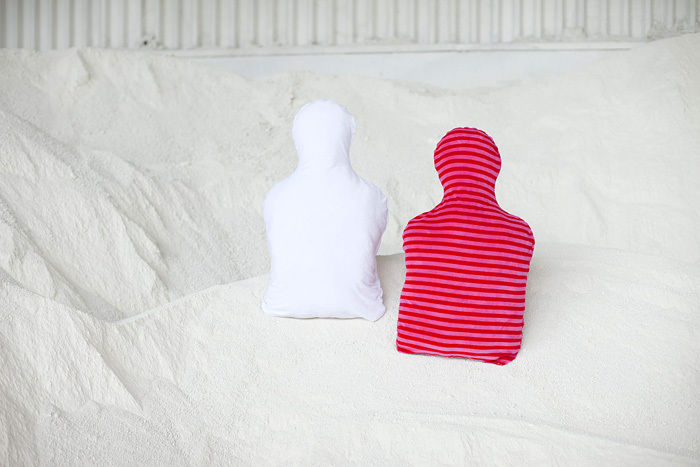 The “Friend” pillow was created as a response to the need of all lonely people. It can be customized with shirts and perfume etc and a warm water bottle fits inside it making it a truly warm friend for lonely moments. Size 50x80x20cm. Will be exhibited at the Designmigration shows in Design Forum Finland and the Habitare tradefair this autumn.